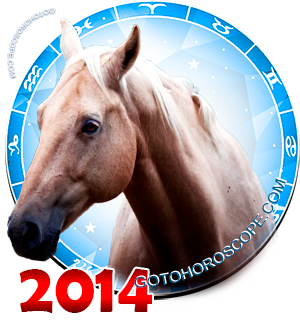 November 2014 Horoscope Cancer, free Monthly Horoscope for November 2014 and Cancer Astrology Forecast for the month ahead. The House of Cancer will have a very interesting and a one of a kind time of their life in November 2014. The thing is that this month will be characterized by exclusively positive celestial environment, which most likely be a result of a very strange, but an inseparable tandem - the Moon and the Black Moon. However, let us not get ahead of ourselves. The first thing is that Jupiter, the planet-exalt of the House of Cancer, will fulfill his tasks 100%. This means that Cancers will have no problems with their life energy and inner motivation. Second, Saturn - responsible for the "expulsion" of this sign, and Mars - responsible for its "fall" will change their emanations due to their participation in the two most active positive combinations. As a result, the Cancers may count on the ruler of time and the red warrior to change their flags and move to their side. In other words, not a single planet of the classical position will display any negativity towards the Cancers. It begs the question - what can be better? However, we should consider that the Moon - the planet-ruler of Cancer, is the sister of the Black Moon, which is the astral body in a very negative attitude towards all of the earth's denizens. 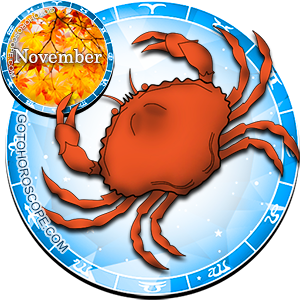 In terms of the work direction of November 2014, the Cancer will feel the full ambiguity of the situation from the very first days until the end. In other words, be ready that any venture may suddenly fail, regardless of how precisely you prepared for it and other factors. Meanwhile, some event that no one even thought would be possible to succeed will bring you astonishing results! You should expect the unexpected and accept things how they are. That means that if you cannot influence it in any way, then do not pay special attention to it either. Just work, do what you love. If you think that you have to put out as much as you can, then do so. In a situation where excessive work would be destructive, do not provide such extra work. You will have everything during this period - the strength, the aspirations, and the opportunities. By the way, if you do not have your own business, then currently is a great tie to start it. At least, think about it. You have everything you need right now. You just have to focus your will and begin implementing your conceived ideas. 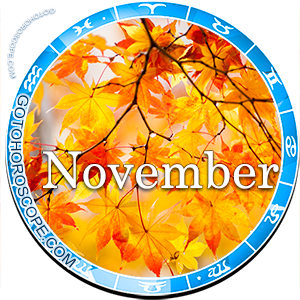 In terms of personal relationships, November will be just a spectacular life period for you. Within these four weeks, you will try and experience so much that some people do not get to try in their entire lives. This is truly so and you should not be afraid of over-trying or falling too deeply into some concerns. If something, the stars will help - do not worry. Look at this situation as some type of reward. You are the one who knows for what. In either way, your friends will support any initiative of yours, no matter how risky it is. Do not worry about anything; just remember about responsibility. Anything can happen and in the end, it is the initiator that will have to answer for it. The love front will experience no less of a positive situation. Your lover will also have good regard for any initiative of yours. At least towards any of yours, since morals were not cancelled by anyone. This may sound crude, but the stars will help you this month in any machinations. Yes, yes - you know precisely what I am talking about. Whether to use this privilege or not is up to you. Just remember that you have to pay for everything in life. Exactly! It was soooooo wrong on so many levels. This has been so far off the mark it's not even funny. Completely wrong. Exactly the opposite.